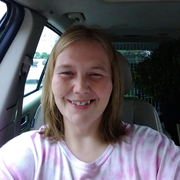 My name is Monica, I'm 41 years old and I live in Deltona,FL. For over 9 years I worked as a Direct Care staff member in a group home for mentally challenged teens, so I learned the value of patience, and it's safe to say that I'm definitely no stranger to a chaotic day! That job also required CPR/first-aid certification renewal twice every year, so I've had quite a bit of training. I've had over 15 years of babysitting experience throughout my life, from newborns and toddlers to teens and special needs kids of all ages, so I'm very comfortable around all children and pets as well. I calm, mature, and detail oriented, but I have a playful, fun-loving personality, I enjoy the outdoors and helping children learn about their world, explore their imaginations and have fun!